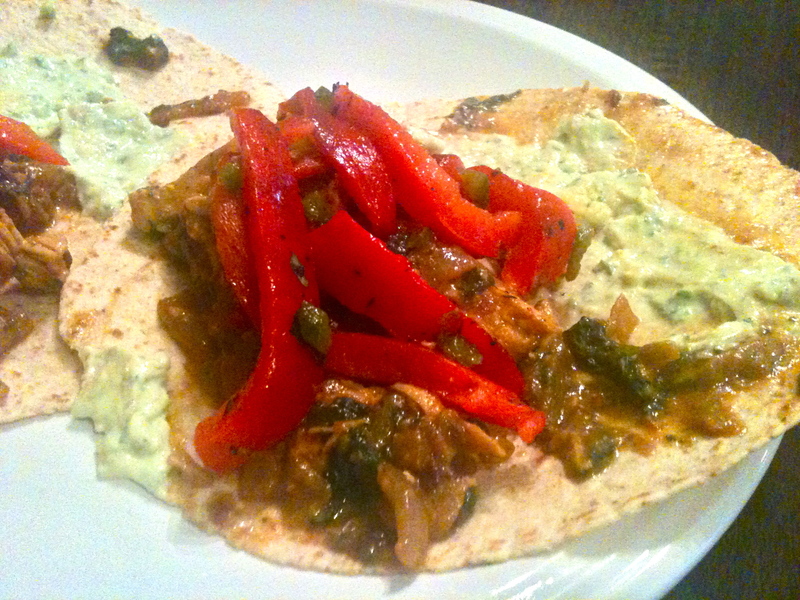 Creamy Chipotle Chicken Tacos with Avocado Crema. I’ve written before about my love for Rick Bayless’s cooking. That guy just totally understands flavor. Recently, I’ve been getting lunch at his street food restaurant, Xoco. It’s got a tempting menu of authentic Mexican tortas, from carnitas to choriqueso, and during my lunch breaks, I’ve been working my way down the list, trying them one by one. Man, those overpriced sandwiches are a hard habit to kick! But it’s not just Rick’s tortas that have me hypnotized–it’s pretty much everything he makes. 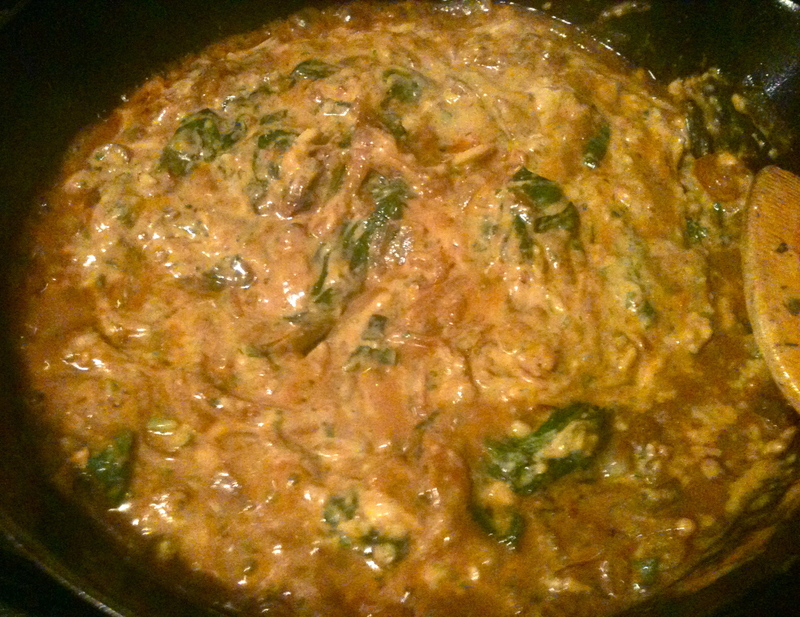 This dish is inspired by one of his, though I’ve fiddled with a lot of the ingredients. Notably, I made my version with chipotle chiles and avocado crema, because I never pass up an opportunity to use those two fabulous ingredients. 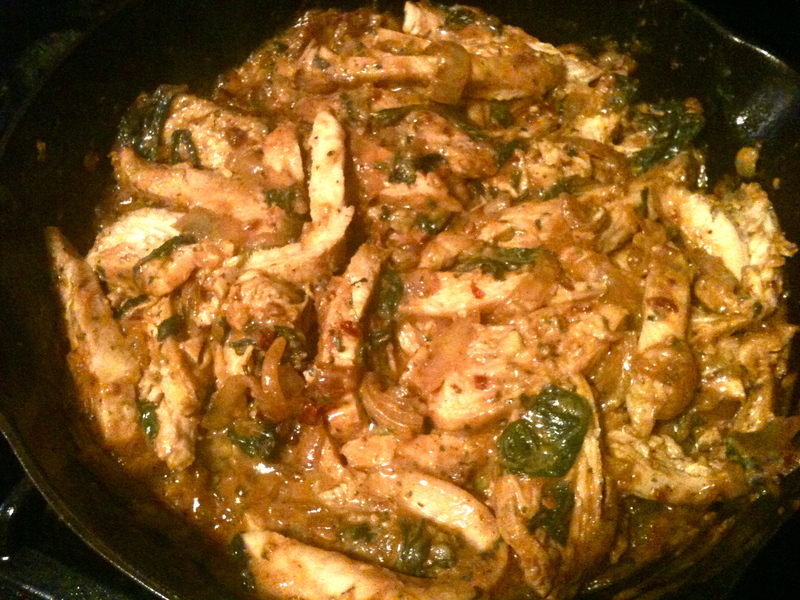 This is a great dish to make for dinner if you’re craving restaurant food but don’t want to go out. And no wonder–it’s inspired by the Mexican restaurant king of Chicago! Blacken the pepper and the jalapeño over an open flame. 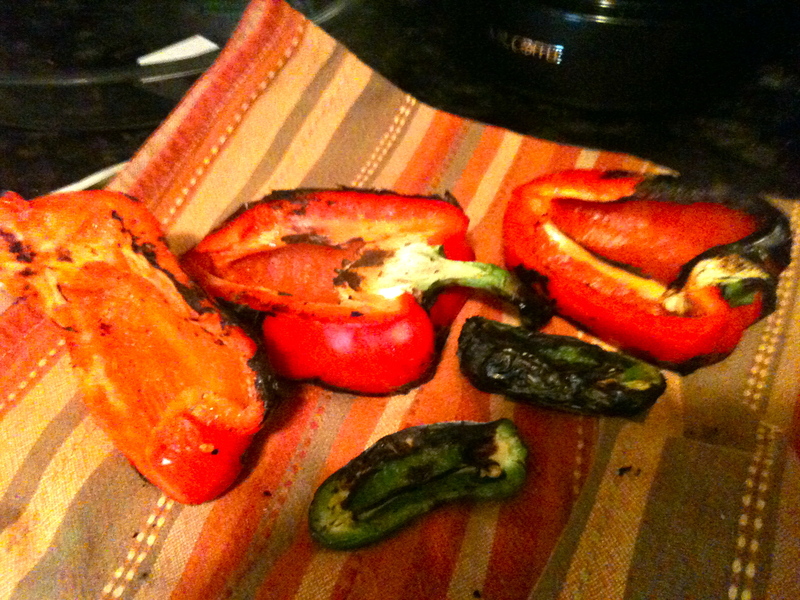 Once they skins are black and flaky, wrap them in a tea towel and set aside to cool. 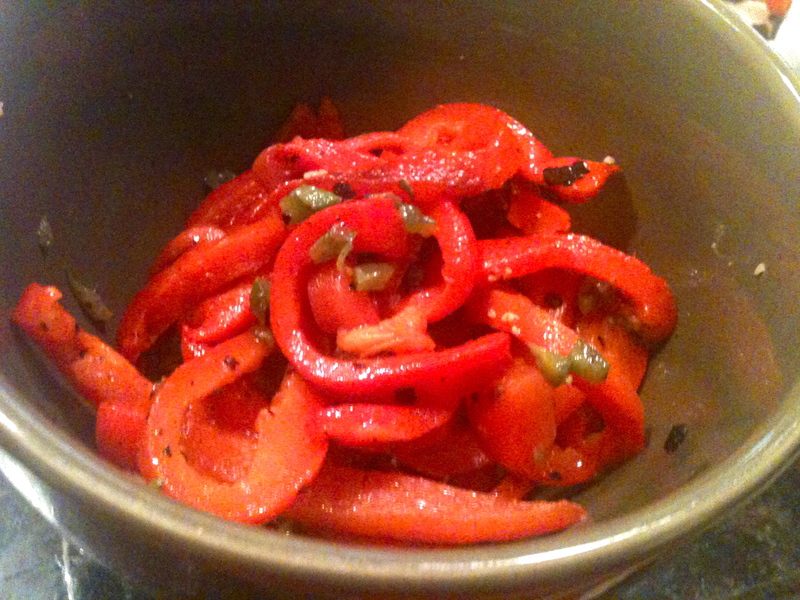 Once cooled, peel off the skins, slice the bell pepper and dice the jalapeño. Set aside. Season the chicken on both sides with salt and pepper. Heat oil over medium and brown, first on one side, then on the other. Set aside. When the chicken has cooled enough to touch, slice it into strips. 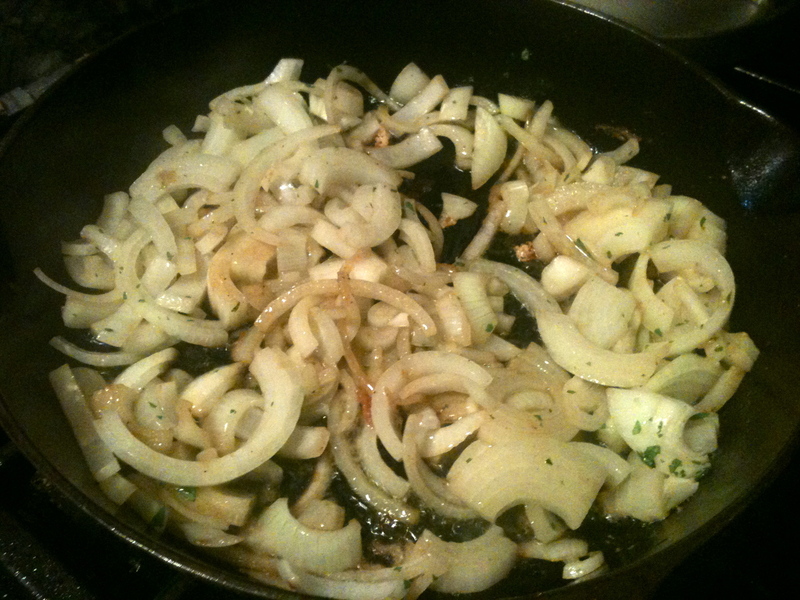 In the same pan, soften the onions. Stir in the garlic and cook for one minute. 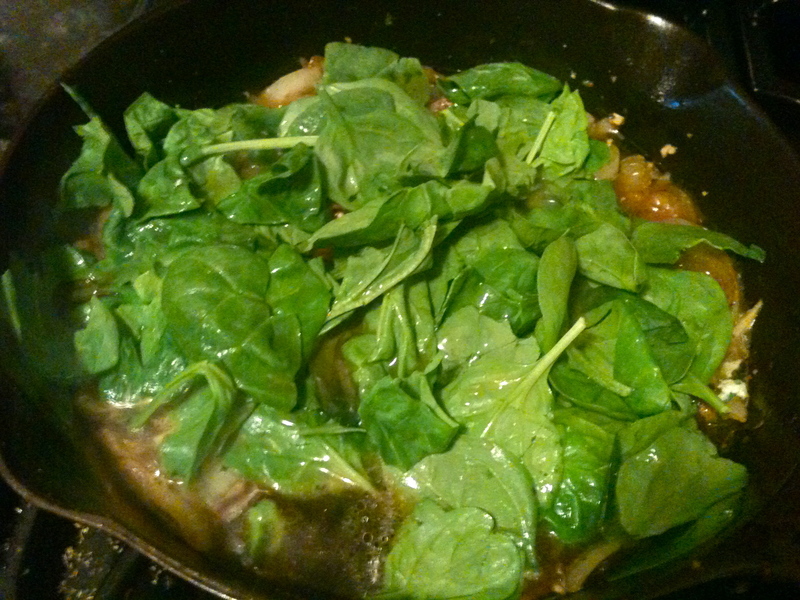 Then add the spinach, chicken stock, and thyme. Cook down until nearly all the liquid is evaporated, stirring occasionally. While the onion mixture cooks down, prepare the crema. 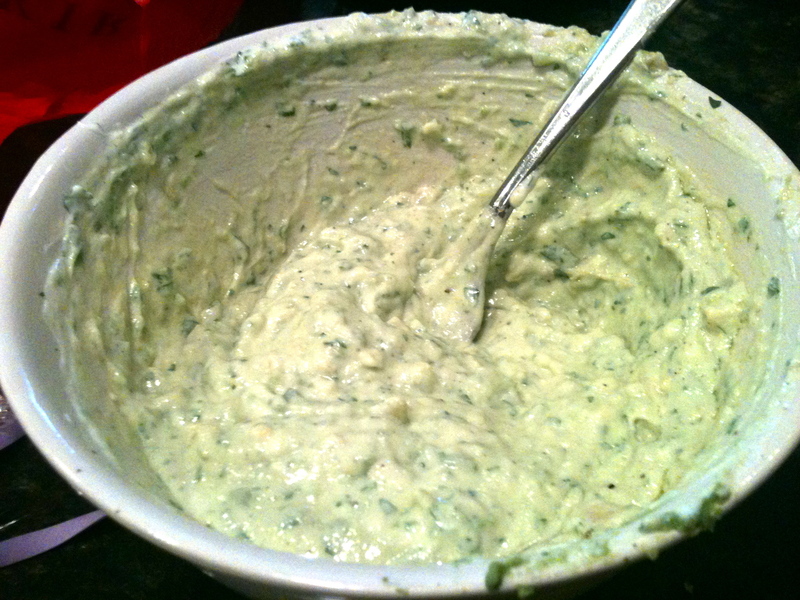 In a small bowl, stir together crema/sour cream/yogurt, cilantro, mashed avocado, lime juice, and salt and pepper. Now separate the crema into two bowls. Set one aside. Take the other bowl and stir in the chipotle chile and the adobo sauce and stir to combine. 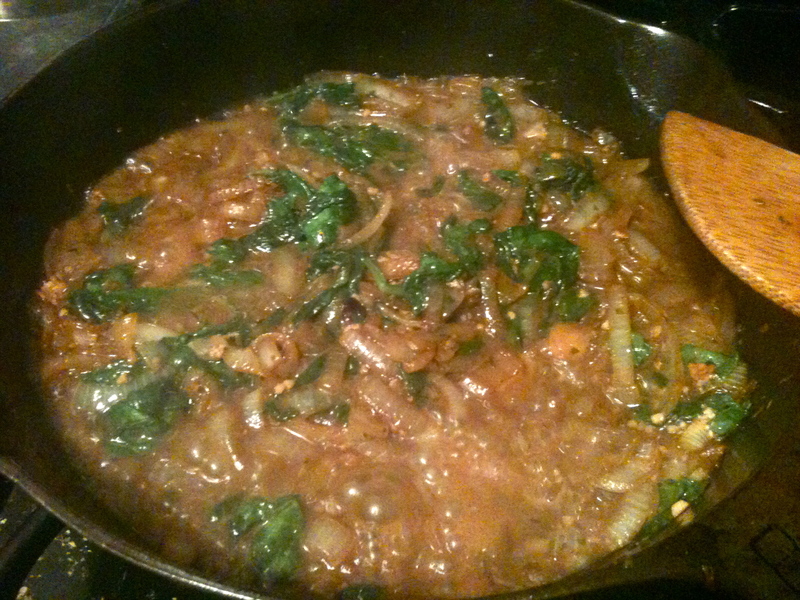 When nearly all the liquid is evaporated from the onions, stir in the chipotle crema. 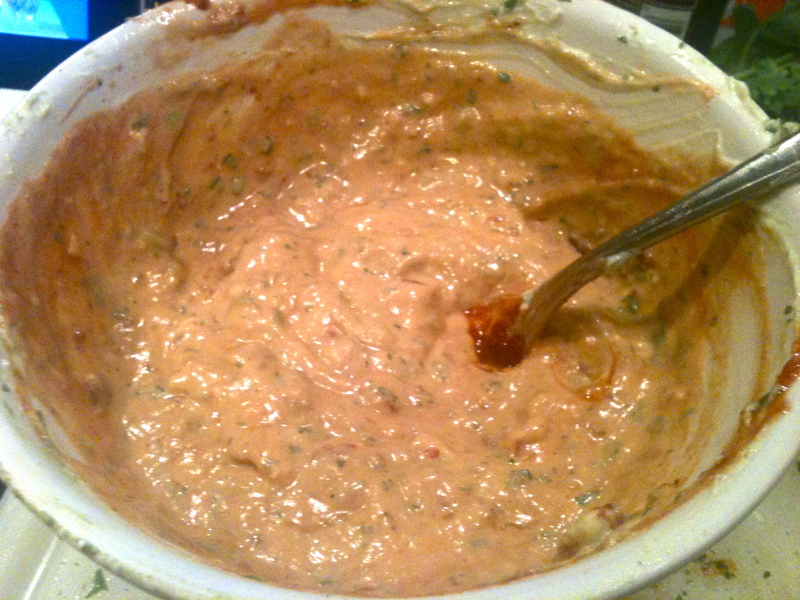 Continue to cook for about 3 minutes, until the mixture has thickened. Then stir in the chicken. Cover, turn down the heat to medium low, and cook 5 minutes more. 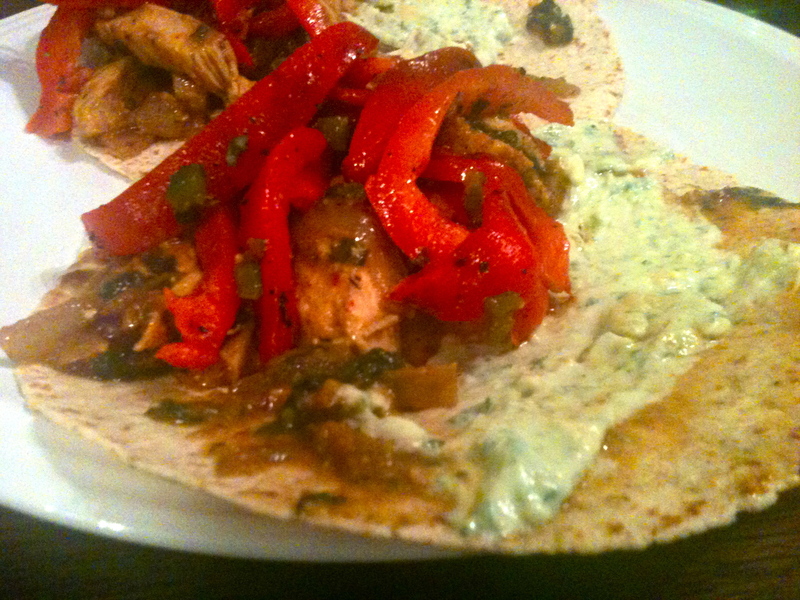 While the chicken finishes cooking, wrap tortillas in a tea towel and microwave for 1 minute. Top a warm tortilla with plenty of the creamy chipotle chicken and onions, a few slices of bell pepper and jalapeño, and a generous dollop of avocado crema. I was the lucky recipient of this delicious recipe. Every bite burst w/ flavored. Prep was not too intense, but the flavored certainly were! Make it! I wish we could make it again right now…mmmm.